Amount: Covers full tuition to the Master Class. Joseph Kohn (34), a self-described “flaming environmentalist”, was an active member and tireless supporter of Environmental Forum of Marin and the Marin Chapter of the California Native Plant Society. Before he passed away in January, 2010, he guided Environmental Forum students on walking explorations of natural habitats, native plants, and waterways. Always a compassionate advocate on the subject of correcting eco-system damage wrought by human inattention and behavior, Joe’s dedication to all environmental concerns inspired dozens of Environmental Forum students. He attributed his public speaking skills to his advocacy training as a member of Master Class 34. An annual memorial scholarship was created to honor this beloved member with funds he bequeathed to the organization so that other “flaming environmentalists” could follow in his stead. The scholarship covers full Master Class tuition for a student who already has demonstrated leadership qualities in protecting the lands and ecology of Marin County. Recipients are selected on the basis of their demonstrated commitment to the environment and sustainability, their past experience serving as a role model for other environmental advocates, their collaborative skills, and past accomplishments. Lisel Blash moved to Fairfax 5 years ago after living in San Francisco for more than 20 years. Lisel has worked as a social science researcher for many years on projects ranging from studies on social capital in urban neighborhoods and public transportation ridership to workforce issues in rural health care. She has a master’s degree in Public Administration from SF State University, and has completed graduate-level coursework in urban and regional planning at UC Berkeley. Her interests include social determinants of health, alternative transportation, social justice, wilderness preservation, and deliberative democracy. She is currently on the Board of Sustainable Fairfax. Teresita Heiser started her career as a Peace Corps volunteer in Kenya, working on appropriate technology stoves with women’s groups through the Ministry of Agriculture. The stoves were designed to decrease the rate of deforestation and protect the health of the women and their families. Environmental sustainability, global health and economic development continued to be a focus of her work throughout Africa, Asia, Eastern Europe and South America. Her most recent experience includes the design and implementation of corporate citizenship programs in the health and investment sectors. She participated in the launch of a Green Team and related initiatives designed to evaluate and minimize the environmental footprint of a Blue Cross affiliate. As a graduate of the University of Michigan and Johns Hopkins School for Advanced International Studies (SAIS), Teresita is currently pursuing a PhD with a focus on integral ecology and sustainable systems design. Terrie Green, is Co-Director of Shore up Marin, a multiracial coalition focused on sea level rise, flooding, emergency preparedness and response and water issues. She is keenly perceptive, very knowledgeable and excellent at incorporating new information she learns into actions that benefit the community. She has been a respected leader in Marin City for 50 years. Terrie's work led to launch and build out the health clinic for Marin City, serving hundreds of people each year. She is the leading advocate to overcome the food desert in Marin City and assure fresh, affordable food for residents. She works on hunger issues with a current project seeing to provide an evening meal for 200 kids who would otherwise not have dinner. During her tenure as Director of Step 2 Educational and Vocational Project, she had the most students graduating from high school for college. 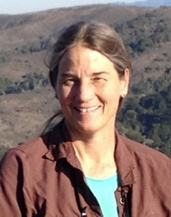 Born in Marin, raised and still residing in Mill Valley, Kristin bonded with her natural surroundings and denizens as a child, and started drawing plants at the age of 12, when her family joined the California Native Plant Society. 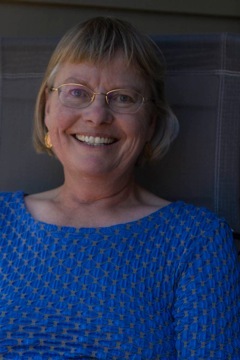 Botany and illustration have remained Kristin’s interwoven avocations and vocations, and she has been a faithful volunteer on the CNPS Marin board, as Program Chair, VP, Acting President and Plant Sale Co-Chair. She works part-time at Green Jeans Garden Supply in Mill Valley, provides private garden design and consultation, and undertakes commissions for botanical illustrations. Her work has been widely exhibited, and she has self-published a line of greeting cards and fine art prints. David Kunhardt has a BA in Political Science from Middlebury College, and completed the Master of Urban & Regional Planning program at George Washington Univ. After two dozen years in real estate, community development and investment, including a decade as Sr. VP of Community Investment for the Transamerica and AEGON USA companies, he made the switch to solar energy. He currently is the president and CEO of SolEd Benefit Corp, a developer of solar energy projects for schools and municipalities, among others. David is deeply concerned about climate change and its effect on all aspects of the environment, and has taken this education series for even better understanding of these changes and ability to advocate for effective counter-measures. David has heard many testimonials about the quality of the Environmental Forum of Marin's programs, and has already led two Lecture Series panels on Renewable Energy in 2015 and 2016. David grew up in the Boston area, and lives in Corte Madera with wife Susan and two teenagers. Jody Timms grew up close to nature in the mountains and beaches of Southern California and has lived in the wilds of Fairfax for over 20 years. She began her life’s work as a community activist in the anti- war, women’s, and environmental movements, also professionally practicing medicine as a Physician Assistant and Clinic Director. She worked for the County of Marin in Community Development and then as Chief of Women’s Health Services. 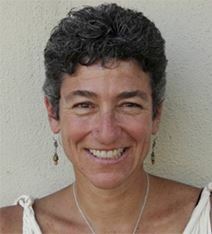 Following her graduate work at the California Institute of Integral Studies, a dissertation on, "The Experience of Integrity," and teaching Social & Cultural Anthropology for 7 years, she broadened her scope to encompass the health and well-being of families, cultural groups, communities and ultimately the health of the planet and all its inhabitants. Now a “flaming environmentalist,” she is a founding member of 350Marin and presented (with her son Jolon) at the 2013 EFM lecture series, “Raising a Radical Teenage Environmentalist: Zero Waste Parenting.” She currently enjoys social work with seniors at The Redwoods, her role on the Fairfax Climate Action Committee, chairing the 350Marin divestment committee, caring for chickens and keeping bees, and finding peace and relaxation in nature. Ann Bauer recently retired from her position as Director of Education for The Marine Mammal Center. During her 23 years there she developed and taught the Center’s educational programs for thousands of school children and the public, teaching many in Spanish. She coordinated the development of the youth volunteer opportunities, adult docent programs, and special programming for undeserved students. Other accomplishments included writing and coordinating interpretive displays and exhibits as well as serving as media spokesperson. Ann was a key liaison for the Center with PIER 39, coordinating exhibits, programs and events related to the sea lions. Most recently she assisted the Aquarium of the Bay with planning and exhibit writing for their new Sea Lion Center that opened in December 2013. Ann was born and raised in Marin. She has a BS in Natural Resources Interpretation from Humboldt State University and a Spanish Bilingual Multi-Subject Teaching Credential from San Francisco State University. She served in the Peace Corps teaching environmental education in Honduras and Paraguay. Ann is a Master Gardener. She served for many years on the boards of the Environmental Education Council of Marin, SEED and Cultural Connections. Currently Ann is volunteering for the Home Ground Habitat Nursery. 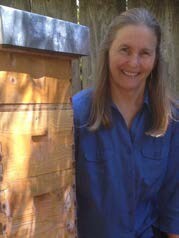 Ann is a naturalist who enjoys observing and learning about connections through bird watching, hiking, gardening, and raising chickens and bees. She lives with her husband and teenage son in San Rafael and is working to transform her yard into a model habitat garden. Renee Goddard has an MA in Drama Therapy from New York University, and 20 years of experience as an international whitewater exploration and rafting guide. Her two passions have led her to work in such diverse fields as social work, where she worked as a bilingual caseworker resettling Russian refugees, and presently teaching music and movement classes for 0- to 5-year olds and their parents. The confluence of these two areas of focus is home in Fairfax as a mother of a 13- and 10-year old, an environmental activist, and the coordinator of the project to bring Fairfax to zero waste by 2020. She played a key role in initiating and helping to pass the Fairfax plastic bag ban, and is an avid advocate for bicycle transportation and teaching bicycle skills to children. Renee is thrilled to have the opportunity to be in the Master Class of the Environmental Forum and make connections within a larger community of passionate environmentalists. The opportunity to learn from those who have dedicated themselves to the protection of our open spaces and farm land, whose bounty is now our nourishment, is a great privilege. 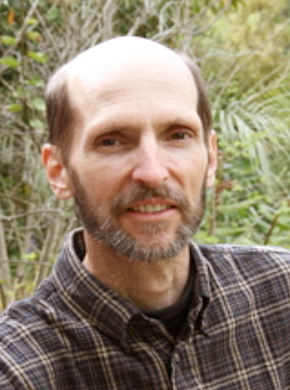 Stuart Moody (39),President of Green Sangha, a spiritually-based environmental action group. He received a B.S. in Conservation of Natural Resources at U.C. Berkeley, and an M.A. in counseling psychology at the University of San Francisco. In 2005, he initiated the Rethinking Plastics campaign of Green Sangha. He has served on the Education team of San Rafael Clean, the Zero Waste Citizens’ Advisory Committee for Marin, and the planning committee for the Marin County Fair. He is Green Schoolyard Coordinator at Davidson Middle School in San Rafael. Stuart has taught yoga for over 30 years, including directing the Transcendental Meditation program at San Quentin in the 1980’s. He teaches movement and dance in schools and community venues. As a somatic educator, he leads professional development workshops through local teacher colleges and Young Imaginations, a multicultural arts education agency based in San Rafael. 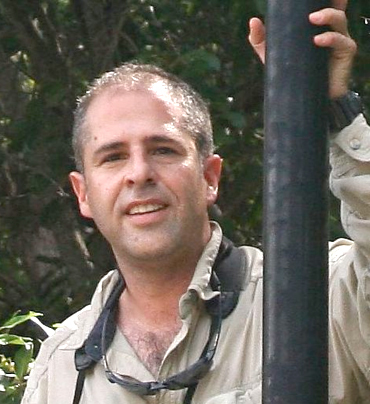 Juan Carlos Solis (40) has worked as a naturalist and interpretive program manager for 17 years in California. He’s a former naturalists for the East Bay Regional Park District, and a senior program manager for the California Academy of Sciences, and Coyote Point Museum. He has lectured and led environmental education workshops and natural history expeditions to Canada, Mexico, South and Central America, Canada, Australia, and Antarctica. Currently, Juan Carlos is Director of Education for WildCare, a Senior Naturalist for Oceanic Society Expeditions, and a Field Associate for the Ornithology and Mammalogy Department at the California Academy of Sciences. Pam Hartwell-Herrero (38) is the first recipient of the Joseph Kohn Memorial Scholarship. 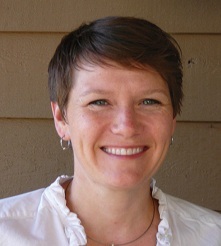 Since 2004, Pam has been the Executive Director of Sustainable Fairfax. She was elected to the Fairfax Town Council in 2009. As a child growing up on a small farm in Minnesota, Pam developed a passion for simple living, chickens, and worms, and the ability to inspire others to live an abundant life with more connectivity and less waste. Now, she is a strong advocate for renewable energy and Marin Clean Energy, zero-waste initiatives, and water conservation. 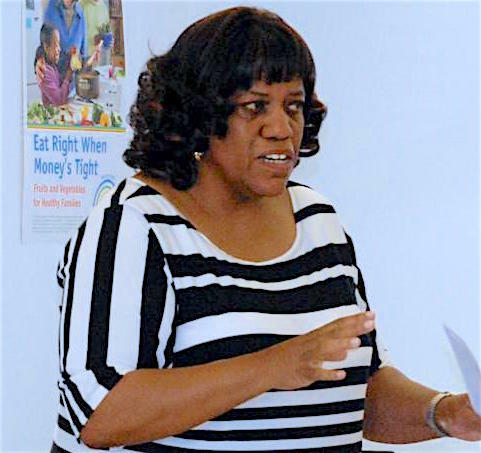 Among her other community contributions, she served as a leader of the Fairfax Youth Commission and as an advisory member of the Marin Economic Forum. She is a past three-term president of Marin Master Gardners and was elected to the Marin County Green Party County Council. She now resides in her home state of Minnesota.